This report is urgently needed as there are no formal guidelines on the safe and effective use of these modalities in the United States. In addition, every dental practitioner acts as an independent radiologist. CBCT units are generally installed as plug-and-play devices and they are not perceived by most in dentistry as computed tomography (CT) units, but rather as exotic panoramic units. Many states consider these the same as simple, intraoral x-ray equipment for regulatory purposes. Hand-held dental x-ray units face a barrier with state regulators since long-term training emphasized to never hold the x-ray tube. (Hand-held units are specifically designed with sufficient shielding to eliminate significant radiation exposure to the operator—although this is not true of all units available for sale in the United States). In the second quarter of 2013, the NCRP Board approved a proposal to establish SC 4-5 to write a revision of NCRP Report No. 145, Radiation Protection in Dentistry. The revision will address imaging modalities that have evolved over the past 10 y and update existing material as needed. New imaging modalities include, but are not limited to, cone-beam computed tomography (CBCT), digital radiography, and hand-held dental x-ray units. Other topics include the use of high-speed film (80 % of U.S. dental facilities continue to use film which requires twice the radiation dose to the patient compared to high-speed dental film) and new data from the Nationwide Evaluation of X-Ray Trends (NEXT) survey. is a professor in the Department of Oral Health Practice in the College of Dentistry with a joint appointment as professor in the Department of Epidemiology in the College of Public Health. Dr. Kantor served on the faculties of University of North Carolina and University of Connecticut before moving in 1993 to University of Medicine and Dentistry of New Jersey where he was Professor of Diagnostic Science, New Jersey Dental School, and Professor of Epidemiology, School of Public Health prior to moving to the University of Kentucky in August 2011. He is a Diplomate and past-president of the American Board of Oral and Maxillofacial Radiology and a former member of the Board of Directors of the American Association for Dental Research. Dr. Kantor serves on several editorial boards and recently completed his term as a member of the Commission on Dental Accreditation. His research interests involve population-based and survey research, specifically radiology practice behaviors and use of selection criteria guidelines, quality and level of evidence in the radiology literature, and screening for medical conditions in a dental setting. Alan G. Lurie is professor and chair of the Division of Oral and Maxillofacial Diagnostic Sciences and chair of the Section of Oral and Maxillofacial Radiology, Department of Oral Health and Diagnostic Sciences, at the University of Connecticut School of Dental Medicine. He has John Dempsey Hospital appointments in the Departments of Dentistry and Diagnostic Imaging and Therapeutics. 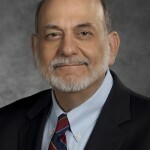 He has been a full-time member of the dental school faculty since 1973, during which time he has done R0-1 research on radiation carcinogenesis, administered predoctoral and graduate educational programs, performed clinical research, and performed imaging care on patients in both dental and medical radiology settings. He is past president and a current member of the School of Dental Medicine Council, co-founder of the University of Connecticut Multidisciplinary Head and Neck Cancer Clinic, and a member of numerous dental school and institutional committees. He is also an active member of his specialty nationally, having served as Councilor for Public Policy and Scientific Affairs of the American Academy of Oral and Maxillofacial Radiology, and Past President of the American Board of Oral and Maxillofacial Radiology. Dr. Lurie has more than 100 publications in the refereed literature, and numerous presentations to local, state, national and international organizations. 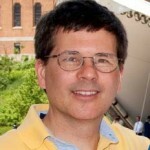 is an Associate Professor at the University of Iowa (UI). He joined UI College of Dentistry and Dental Clinics in 2008 as a faculty member after completing his residency there and having spent a little more than a year as a consultant to a private imaging company. He is currently the Program Director for the Advanced Education Program in Oral and Maxillofacial Radiology (AAOMR) and the Director of Radiology at the College of Dentistry. He serves on several collegiate, university, national and international committees and is currently the American Dental Association and American Academy of Oral and Maxillofacial Radiology representative to the Digital Imaging and Communication in Medicine (DICOM) standards committee. 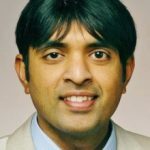 Dr. Allareddy is the co-chair for Working Group 22 (Dentistry) of the DICOM Standards committee, where he also serves on the Leadership, Outreach, and Educations Committee, and is the co-chair of the Standards and Codes Committee for the AAOMR. Dr. Allareddy is a reviewer for nine peer-reviewed dentistry and radiology journals. 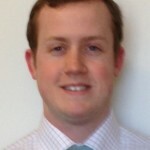 His main expertise and interest is in the use of technology in dentistry. His research areas are related to reduction of the radiation dose to the patient, healthcare outcomes, dental education, big data sharing, and the role of advanced imaging in the oral and maxillofacial regions as it applies to dentistry. is a Professor in the Radiology Section of the Department of Diagnostic Sciences at the University of North Carolina (UNC) - Oral Health Institute. He received his DDS from the University of Michigan in 1978 and MS in Oral Diagnosis and Radiology in 1983. 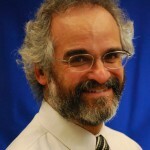 He joined the UNC faculty in 1989. He is a past president of the American Board of Oral Maxillofacial Radiology, and past secretary of the American Board of Oral Medicine. He is a member of the State of North Carolina Radiation Protection Commission, and a member of the American Dental Association Council on Scientific Affairs. He is a member of Omicron Kappa Upsilon National Dental Honor Society, a Fellow of the American College of Dentists, and a Fellow of the Royal College of Surgeons, Edinburgh. His current research is focused on dose and risk from maxillofacial radiography. Dr. Ludlow has published over 90 scientific manuscripts and was an American Academy of Oral and Maxillofacial Radiology Weurhmann Prize winner for the best radiology research paper in 2006/07 and 2010/11. received his DMD from the University of Kentucky College of Dentistry and his MS in Dental Diagnostic Sciences from Indiana University School of Dentistry. He is currently a Professor of Diagnostic Sciences in the Department of Oral Pathology, Medicine and Radiology at Indiana University School of Dentistry. Dr. Parks is the division director for Oral and Maxillofacial Radiology. He is a Diplomate of the American Board of Oral and Maxillofacial Radiology and the American Board of Oral Medicine. Dr. Parks has presented over 100 continuing education courses and authored numerous journal articles and book chapters. He currently serves as the forensic dental consultant for the Marion County Coroner’s Office and directs the facial pain clinic at University Hospital. Dr. Parks is active in the American Academy of Oral and Maxillofacial Radiology, the American Academy of Forensic Sciences and the American Dental Education Association. began practicing medical physics in the Cancer Center at the University of Rochester Medical Center in 1977. In 1979 he became Director of Medical Physics at Rochester General Hospital, where his areas of interest and expertise broadened to include diagnostic imaging physics and teaching medical physics to physicians. Dr. Pizzutiello formed Upstate Medical Physics, Inc. in 1983, to provide medical physics services to facilities that could not support their own full-time medical physicist. 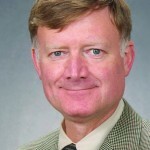 Since 1989, he has been the full-time president of Upstate Medical Physics, the largest private practice diagnostic medical physics group in New York State – leading a group of 10 professionals who serve well over 100 facilities across New York, Connecticut, Pennsylvania and Massachusetts. He has also served as consultant to many major imaging manufacturers, contributing his knowledge of imaging and broad practical experience to the manufacturing sector. In the early 1990s Dr. Pizzutiello became a medical physicist reviewer for phantom images for the American College of Radiology (ACR)-MAP. After more than a decade of work with the ACR and the Conference of Radiation Control Program Directors, he was appointed to the Food and Drug Administration’s Mammography Quality Standards Advisory Committee. When Stereotactic Breast Biopsy was introduced in the early 1990s, he worked with ACR to develop the Stereotactic Breast Biopsy Accreditation program and co-authored the SBB QC manual. 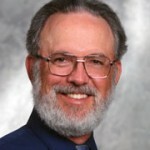 He continues to serve on several key committees of the American Association of Physicists in Medicine , ACR, and ACMP. 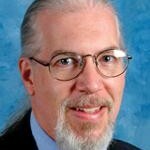 Bob is an active lecturer, and has been invited to speak at over 100 programs in the last decade across the United States, in South America, and in China. 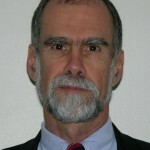 His current special interests include breast imaging, MRI, and cone-beam computed tomography imaging. is currently a Regulatory Physicist in the Food and Drug Administration’s (FDA) Center for Devices and Radiological Health. As a Regulatory Physicist, Mr. Sauer conducts premarket reviews of diagnostic x-ray systems, accessories, and post-processing software; develops regulatory and scientific guidance for FDA staff and industry; performs medical device and electronic product recall classifications; and serves as FDA point of contact for dental radiological safety outreach activities with industry and professional organizations. He holds a BS in Physics from the University of Delaware and an MS in Physics from the University of Arizona. Past research experience includes atomic and molecular ionization in ultrastrong fields and photoelectron dynamics in relativistic laser fields. is a physicist with the Food and Drug Administration’s (FDA) Center for Devices and Radiological Health. 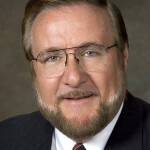 On his arrival at the FDA in 1994, Dr. Spelic became involved with the Agency’s implementation of the Mammography Quality Standards Act (MQSA), particularly focusing on mammography physics testing and the training of MQSA inspectors. Presently Dr. Spelic conducts premarket reviews of diagnostic x-ray devices, and directs most technical aspects of the Nationwide Evaluation of X-Ray Trends (NEXT) program, an FDA collaboration with the Conference of Radiation Control Program Directors to document trends in patient dose and image quality for selected diagnostic x-ray exams and procedures.